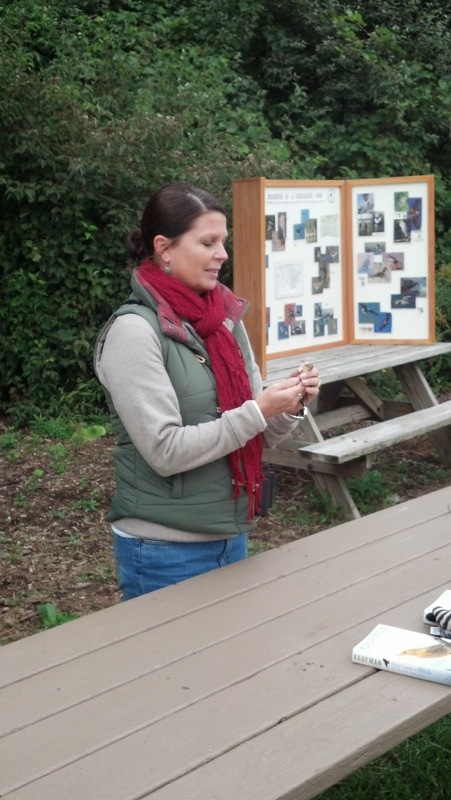 After spending three days at the Midwest Birding Symposium, I decided to spend my final day in northwest Ohio birding at Magee Marsh and attending a Black Swamp Bird Observatory (BSBO) bird banding demonstration. I arrived at Magee Marsh shortly after sunrise and was joined by some great friends! We started out along the Estuary Trail and found many warblers taking shelter from the wind on the south side of the trail. In just one small area, we managed to find about 15 species of warblers. 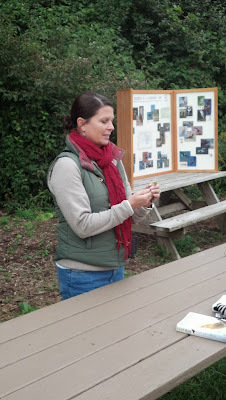 After thoroughly birding the area, we all headed up to BSBO for their banding demonstration. We arrived a little late, and they were already showing the crowd tons of awesome birds! 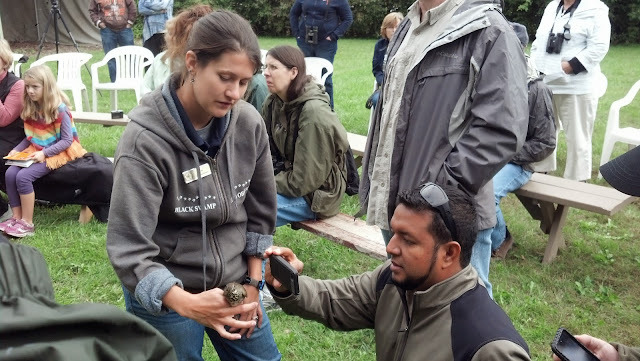 Kate Zimmerman from BSBO showing Carlos Bethancourt from Canopy Tower a Gray-checked Thrush! A Northern Waterthrush taking a bite out of Kim Kaufman's hand. this Blackpoll Warbler is currently undertaking. 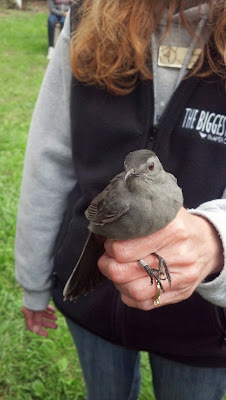 Up-close and personal with a Gray Catbird. 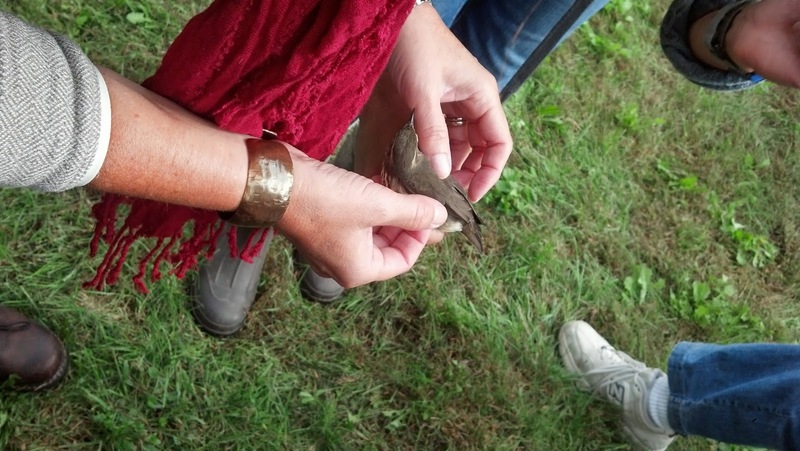 If you have not had the chance to attend a banding demonstration, I would highly recommend that you do sometime soon! Whether you are brand new to birding or extremely experienced, there is a lot to learn by viewing these birds up-close. It's fantastic to see these people in action... They do a wonderful job. Rob, the BSBO is on my bucket list of places I want to visit and bird! You have only whet my appetite for more!